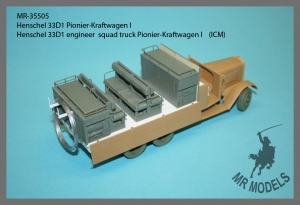 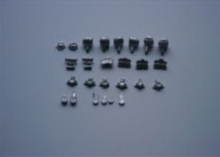 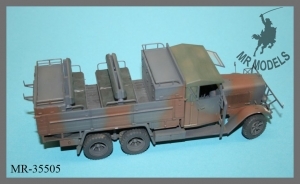 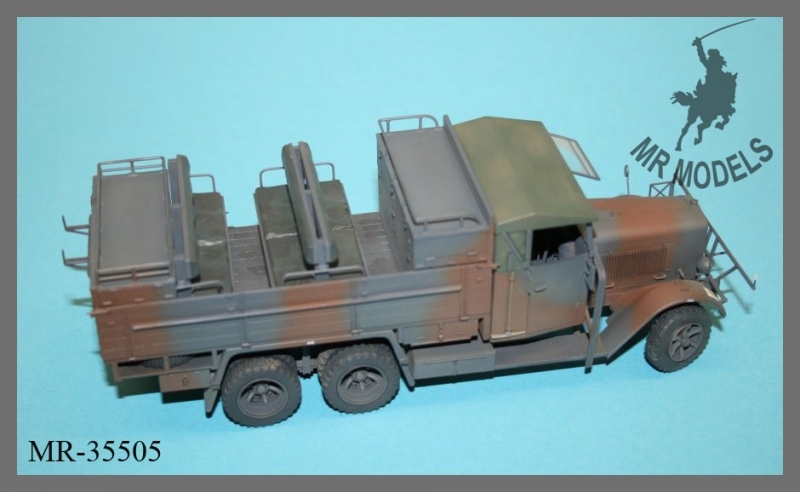 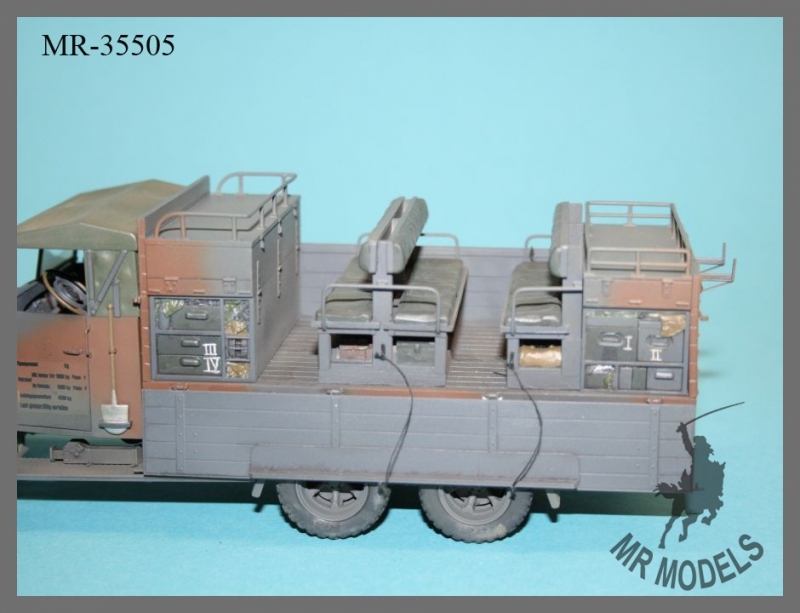 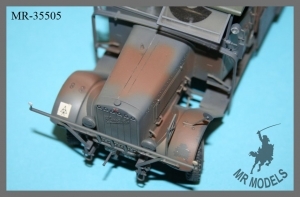 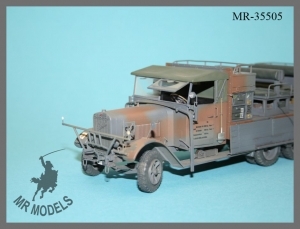 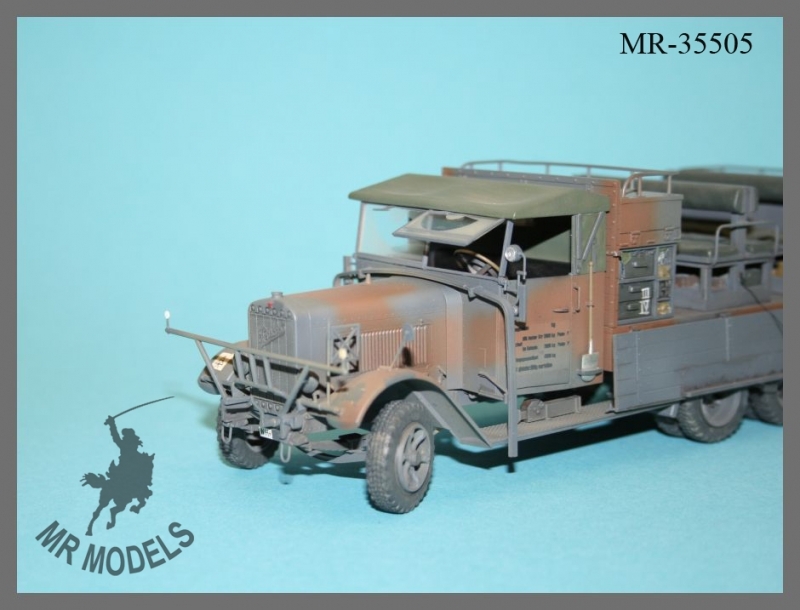 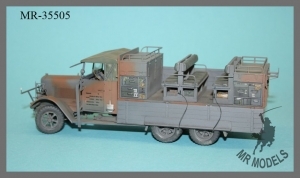 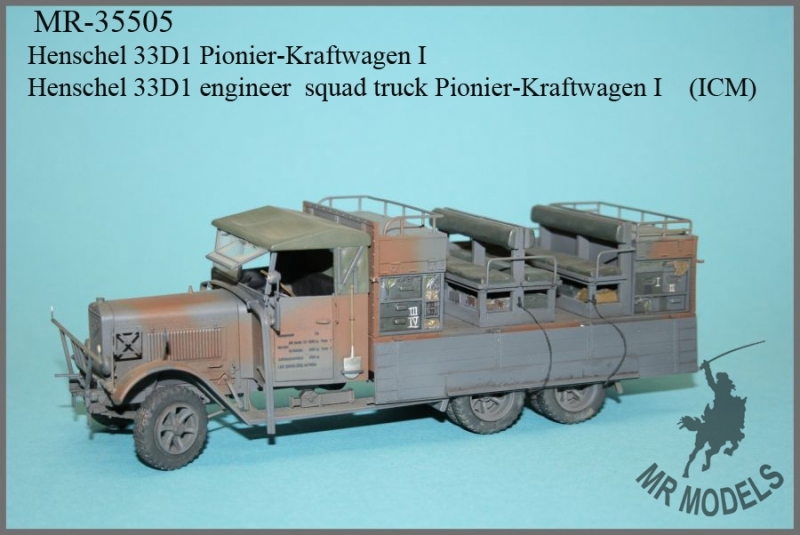 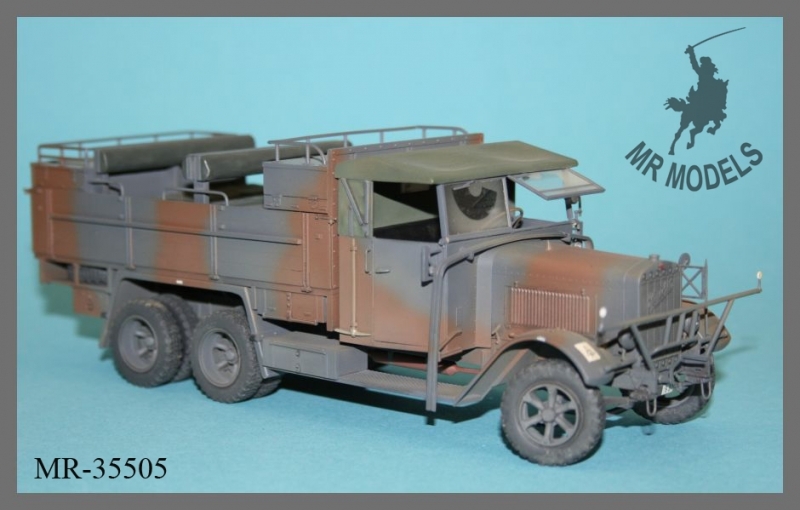 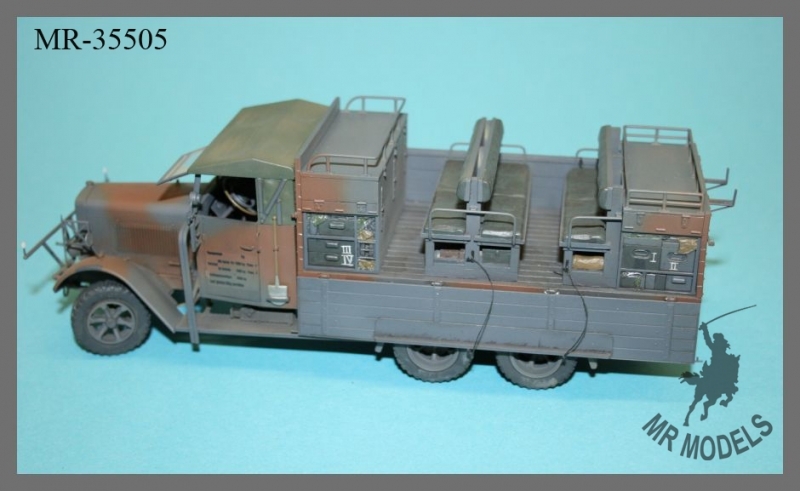 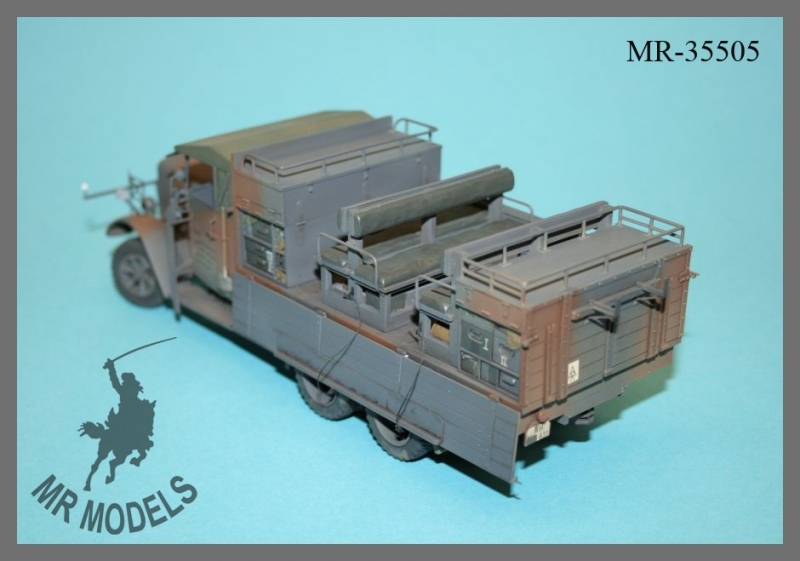 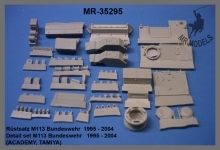 Special engineer equipment set for mounting on the cargo body of Henschel 33D1 truck (ICM No.35466). 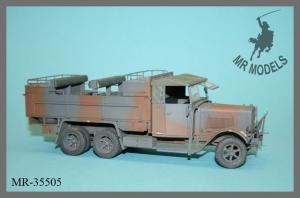 The Set contains a bench seat construction for 4 soldiers and and a bench seat construction for 8 soldiers, also included are new front and rear walls for cargo body of the plastic model kit, several equipment parts and pre-cutted Polystyrene parts for assembling of the seats as well as a few parts for the truck model. 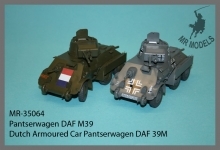 Can be used for all theatres of war of German Wehrmacht from 1939 to 1945. 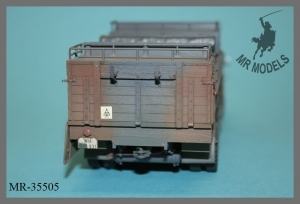 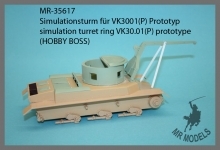 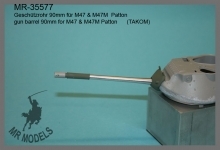 The picture shows the ICM plastic model with MR Models Henschel wheel set MR-35477.